Learning for children couldn't be easier, all thanks to our collection of alphabet mini posters! 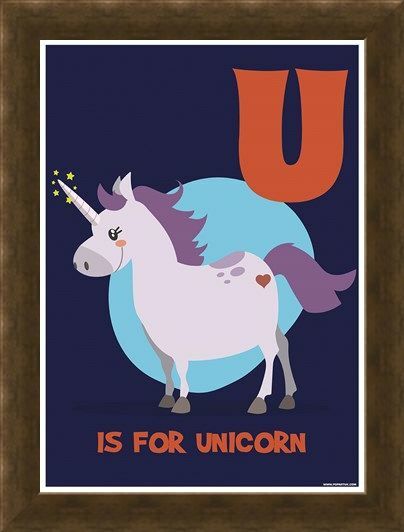 It can be a challenge sometimes and we hope that this selection will help you and your child engage with the use of pictures to learn their ABC's. 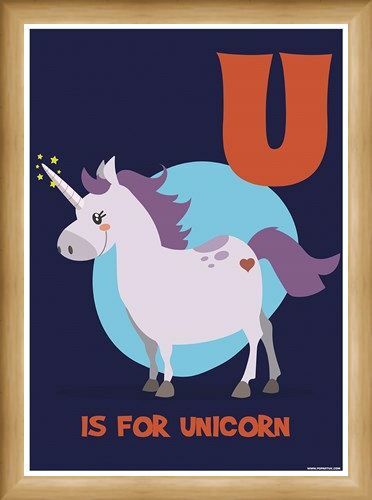 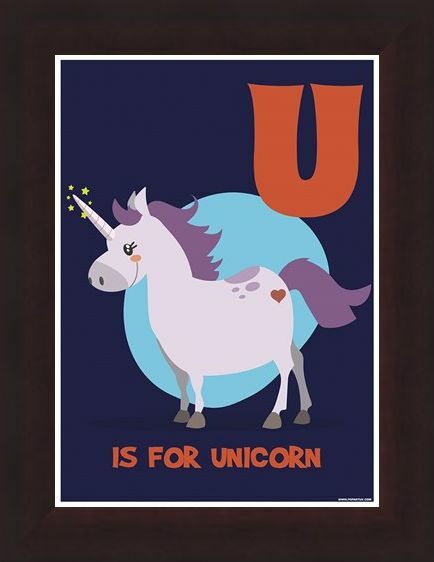 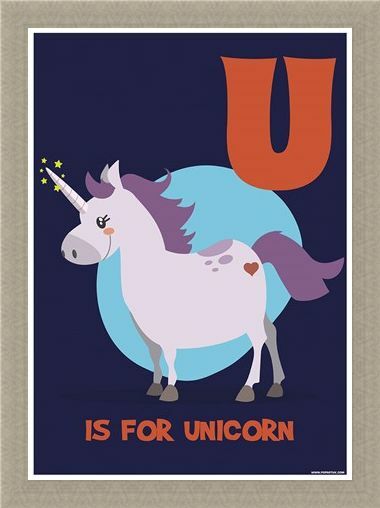 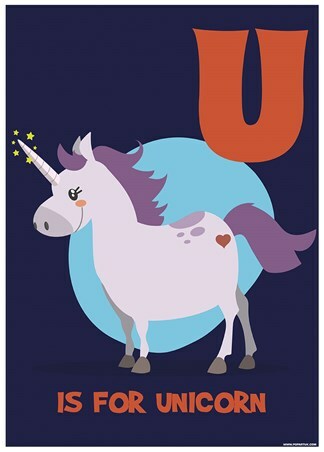 This particular poster features the letter U and to illustrate this it has been decorated with a rather chubby unicorn with a glittering horn. Perfect for little girls on its own or a great educational tool when paired with the remaining letters, the possibilities are endless! 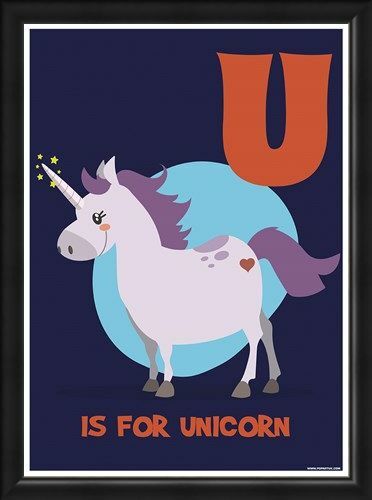 High quality, framed U Is For Unicorn, Learning With Pictures mini poster with a bespoke frame by our custom framing service.